Hakan Samuelsson: "Listed or not listed really doesn't change anything for us as a company." LONDON -- Volvo is working on how to meet the challenges of electrification and self-driving cars and has the funds to do so regardless of whether the company launches a stock market flotation, CEO Hakan Samuelsson said. 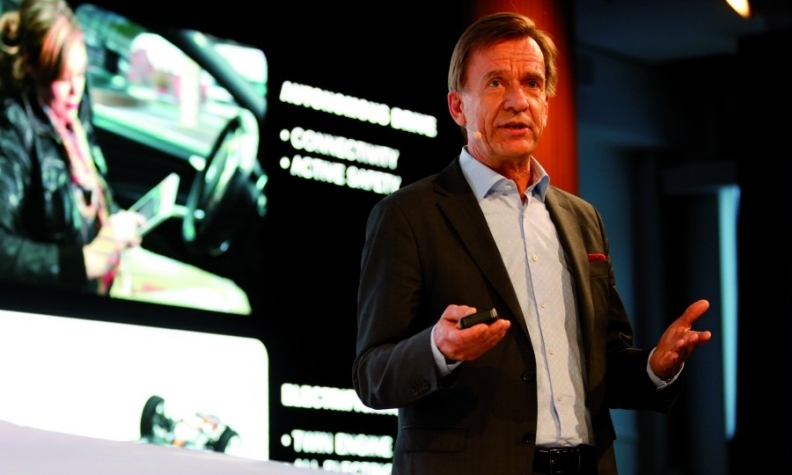 "We need to address these issues with electrification and automated drive," Samuelsson said at a conference in London on Wednesday. "That is the next step and we are doing that. Listed or not listed really doesn't change anything for us as a company. We focus fully on that and we have the financial resources right now to be able to do that." China's Zhejiang Geely Holding Group, the owner of Volvo Cars, has hired three investment banks for an initial public offering (IPO) this year that could value the Swedish automaker in a broad range of $16 billion to $30 billion, a person familiar with the matter told Reuters last week.